Manufacturing company of Varikostop Cream are SHIVALIK HERBALS. if you want to buy our any product then please visit at :www.kart100.in, Amazon.in. Varicose veins occur when your veins become enlarged, dilated and twisted usually blue or dark purple that usually occur on the legs although varicose veins can occur elsewhere. Small "Spider veins" also can appear on the skin's surface. Spider veins are most common in the thighs, ankles & feet. Varicose and spider veins can occur in men or women of any age. The risk factor to develop varicose vein may be due to sedentary lifestyle, weight gain, prolonged standing and pregnancy. Syptoms of varicose veins may include aching, cramping, itching, swelling and fatigue. There are number of different ways to present & treat varicose veins, ranging from expensive surgeries to using natural oils & Creams. 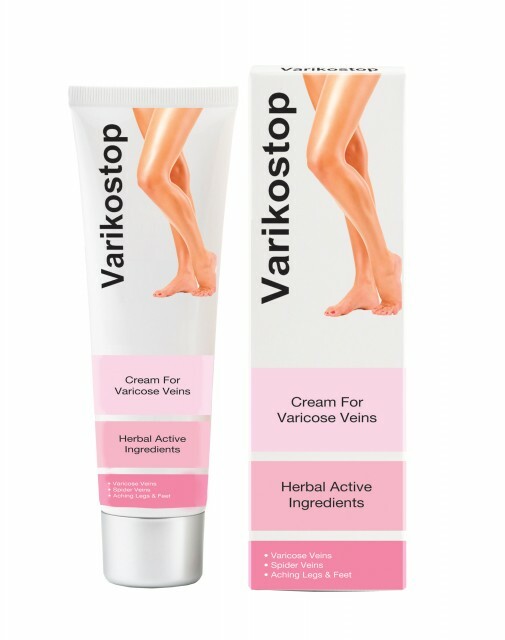 Varikostop cream is one such cream to lower the visibility to bulging veins. This cream is a powerful formulation made from natural herbs, gentle enough to use anywhere on the body legs, face, nose etc, simply apply twice a day and you'll see results in 6-8 weeks. Varikostop cream is a gentle ayurvedic cream to make varicose veins to fade away. Lightly massage with Varikostop cream directly on the affected part until cream is completely absorbed by the skin. Do not use any pressure while massaging on delicate veins. Do Not wash the part of massage area with cold water for one hour, after massaging the cream.